Experience the quickest application development with us! The customers who believe in receiving the app development services on the go. 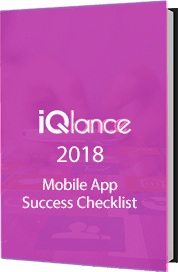 We, at iQlance, build ever-evolving on-demand app solutions in order to promote the next generation services for the business growth. Have an amazing experience of scalable and solely integrated solutions along with custom front-end and back-end UI/UX. We assure advanced admin dashboard and powerful analytics panel for both android as well as iOS. Our unparalleled set of solutions helps the businesses to acquire new customers along with the pervasive solutions that can be deployed for any business. We believe your business on mobile should be easy and convenient for the customers. The demand of on-demand mobile app development has created a great buzz in the market. Need Help To Build On Demand App. Signing up or setting up the profile is personalized as per the customer’s demand. We believe an interesting and simple app should be preferred to make it decent. Our on-demand app developers has made it all happen with few taps. Just like other apps, you will go through. Whether it is a cab service, or a food delivery app, all kinds of on-demand applications require location tracking. All of these are location-based solutions at the end. Our on-demand mobile apps offer accurate location tracking to the customers. Post the service is delivered to the customer, we offer an approval for payment by the customers before deducting it directly from their mobile wallet. Fill up password to let the payment get deducted from the wallet. We believe review and rating are important factors to gain trust amongst the customers. It also helps in transforming a visitor into a customer. We have made it simpler than ever, for the service providers. The service provider can easily connect with the customer. All the screens on our on-demand mobile app are managed well for better authentication and thorough user verification. Lets the service provider track the location of the customer by using map services. The service provider can begin and end the task post delivering the service. When the task is completed, the service provider is offered a notification regarding the completion of job. Create an invoice based on the service offered by the service provider. We will help you find out how to supply the rightest as per user demands, which is sure to make them wonder that how did they survive without your app all these days. We develop to meet macro-level and micro-level delivery requirements of users across all industries. Ready to take a comprehensive consultation for your next on-demand app?